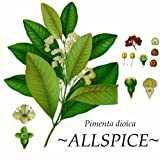 Allspice for sale – Easy plant to grow, with edible leaves, seeds and fruits, also grown for the ornamental leaves and it a shade tree, planting in spring to summer, better to grafted tree that it will be male and female plant , another option to start from seeds yet more challenging. Blooming in the spring, flowers that appear in white color. 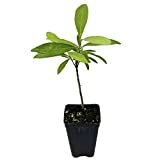 Sowing in the spring but better to use fresh seeds directly from the tree, remove the flesh and soak the seeds in warm water for 12-24 hours, sow the seeds 0.4 inch, 1 cm, mix light soil and keep the soil moist. Bear Fruit in the summer in round shape that appear in black color. 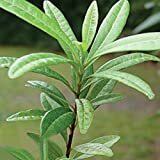 Edible part: fruits, seeds and leaves, fruit harvest in the summer and can be used for spice, cooked or dried, leaves can be harvest all the year and can be used as spice, cooked or herb.